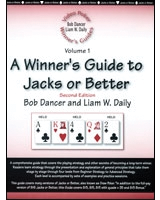 Bob Dancer’s A Winner’s Guide to Pick ‘Em Poker continues the tradition of giving the player the “full monte” for this highly enjoyable and high-return game. 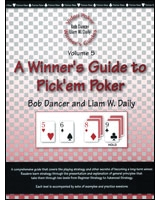 Pick ‘Em Poker can be found in numerous Vegas places, as well as in casinos throughout the country. 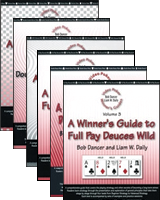 The full-pay version returns a healthy 99.95% which normally makes the machine positive when combining rewards that casinos give to the players. 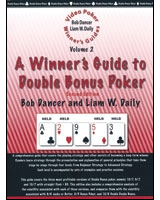 Bob Dancer’s book analyzes the game, gives the perfect play instructions, and even gives hand-per-hand examples for some of the toughest plays. 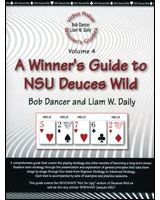 This is like a strategy card on steroids, considering that is a completely in-depth analysis and instruction on Pick ‘Em and is 56 pages long.